Today i want to share basic functions of sql. SQL statements are used to perform tasks such as update data on a database, or retrieve data from a database. For getting database data we use many type sql functions is there follow this tutorials learn more about sql. SQL queries to perform to phpMyAdmin as a visual interface to MySQLI on your local machine. For suggestion to best on beginners XMPP or WAMP. With this query we can create table in database. for phpmyadmin select your database go to sql paste below code and execute query. Users table we already create name, email,address based on that column add new data. SELECT * - All table data. SELECT `id` - Fetching only id value column data. SELECT WHERE - Particular data based on id or name etc. update query changing database row data value to new value in same row. Delete query to delete database data particular column or all data. 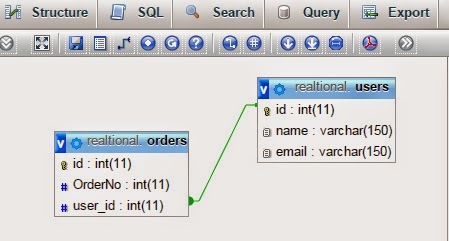 The primary key constraint uniquely identifies each record in a database table. its should create each rows have one unique id. Foreign key in one table points to a Primary key in another table. Relational data to connect with one table to another table. if you delete primary key value foreign data also will delete. Sql order function its sort the data based on ascending & descending. Order by default it will take Ascending. ORDER BY - default it will take ascending. ORDER BY ASC - data value order by ascending based on id. ORDER BY DESC - data value order by descending based on id. ORDER BY name DESC - data value order by descending based on column name. Sql join clause is used to combine two table based on combine data. sql query related on parent categories to child categories table value data fetching, customers and order table etc. Table1-users combine value to Table2 -orders value data if both rows combine data result only get. It will get all rows in left table(users) and matched rows value to the right table(order). It will get all right table(orders) rows value and matched values to the left table(users). Above i have posted for basic learning sql functions. i will update more sql function my next post. Thank you for visiting.